Click here for RealAudio version of excerpt from Lighthouses of England & Wales, 2:54/170K. Click here for TrueSpeech version of excerpt from Lighthouses of England & Wales, 181K. Click here for MPEG-2 version of excerpt from Lighthouses of England & Wales, 678K. Benedict Mason has his own home page. It is here: http://benedictmason.com/. Benedict Mason gained a scholarship to Kings College, Cambridge, then took a degree in film making at the Royal College of Art. He turned to composition relatively late, in his early thirties, but immediately attracted attention with his first acknowledged work, Hinterstoisser Traverse, and gained the Guido d'Arezzo Prize for Oil and Petrol Marks on a Wet Road are Sometimes Held to be Spots where a Rainbow Stood, while his first orchestral piece, Lighthouses of England and Wales, won the Benjamin Britten Competition in 1988. Subsequent awards include a Fulbright Fellowship, the Paul Fromm Award (for Steep Ascent within and away from a non-European Concert Hall: Six Horns, Three Trombones and a Decorated Shed in 1995, and the Third Britten Award (for Rilke Songs) in 1996. Mason's early works display a characteristically post-modern stylistic diversity, which arises in part from their 'investigative' intentions: the String Quartet No.1examines various modes of travelling, Lighthouses of England and Wales analyses the phenomenon of 'sea music', while Oil and Petrol Marks... collates and classifies children's games. 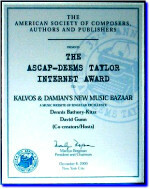 Works around 1990 show an increasing interest in polyrhythm which culminates in two highly virtuosic ensemble pieces: the glittering Double Concerto and above all, the typically whimsically entitled Animals and the Origins of Dance, a set of 'twelve ninety-second polymetric dances' which at some points calls for as many as eleven separate click-tracks. Playing Away, a grand opera about football, opera, pop music and Germany also dates from this period. 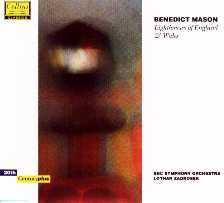 A particular feature of Mason's later music is its spatial dimension, which goes way beyond the 'multi-ensemble' approach pioneered by Brant and Stockhausen. Since 1993, Mason has written works for particular halls, which then act as highly diverse resonators for the sounds produced by the musicians (and vice versa - the musicians also articulate the acoustic and architectural properties of the halls). The main outcome of this preoccupation is an extended series of pieces - mostly much more austere than Mason's preceding works, but all featuring a strong extra-musical or visual input - generically entitled 'Music for Concert Halls'; locations involved have included the Mozartsaal of the Alte Oper, Frankfurt, the 'Espace de Projection' at IRCAM, Paris, the Paradiso in Amsterdam and the new Kultur und Kongresszentrum Lucerne designed by Jean Nouvel.